It doesn't matter what type of real estate you have. Our ongoing analysis of local real estate trends and education as licensed appraisers make us qualified to provide home valuations in Lafayette County for clients ranging from national mortgage companies to local lenders or individual businesses and consumers. Call us today at 337-298-3732. Are you looking for an appraiser in the Acadiana Parishes area? Specializing in the appraising of NEW & EXISTING MANUFACUTED & MODULAR homes. You can expect fast, courteous and friendly service when you order an appraisal from DP Taylor Real Estate Appraiser, LLC. We are committed to preparing real estate valuations that meet or exceed USPAP and the new Dodd-Frank Wall Street Reform & Consumer Protection Actrules and regulations as set fourth by Fannie Mae and Freddie Mac. 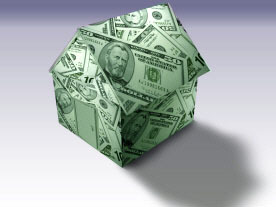 Rest assure that your appraisal will be a true unbiased opinion of the value of your home or small investment property. We service a six (6) parish area known as the "Heart of Acadiana". From water front properties along the Atchafalaya River in St Martin Parish to the beautiful Acadiana style homes in rural Acadia Parish, Iberia Parish, St Landry and Vermilion Parishes to the stately homes in Lafayette Parish along the Vermilion River and Bayou Teche, we service all types of clients and are ready to handle all your residential real estate appraisal needs. With five years of experience in the Acadiana Area we are prepared to handle a variety of property types which including but not limited to: new construction appraisals, manufactured homes, modular homes, vacant land, and of course waterfront properties, removal of PMI, Per-Listing appraisals, and services for those of you that may want to sell your home on your own, known as a FSBO (For Sale By Owner). We are certified residential appraisers and are also FHA approved. We have the education and qualifications to provide the type of reliable home valuations that banks and major lending institutions require for home loans. In addition to working with major lending institutions we work closely with the local residence of Acadiana providing valuations so they may always have a current appraisal in the case of a catastrophic event such as a hurricane or flood. Assisting individuals who want to keep a current appraisal in case of a catastrophic event. Our investment in technology means faster turnaround times for you. We take pride in providing personalized customer service whether we are on the phone, sending email or communicating through this website which you can use 24/7 for placing orders, checking status or downloading completed reports. Thanks for taking time to visit DP Taylor Real Estate Appraiser, LLC. If you have any questions, don’t hesitate to call us at 337-298-3732. We want to be your Acadiana Area Real Estate Appraisal Firm! !